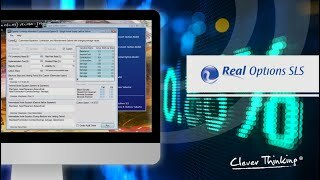 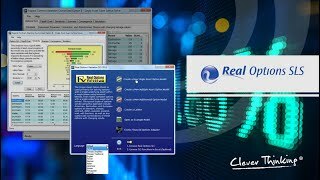 REAL OPTIONS SLS is a standalone software and spreadsheet accessible add-in for analysing and valuing real options, financial options, exotic options and employee stock options and incorporating them into decision-making models. 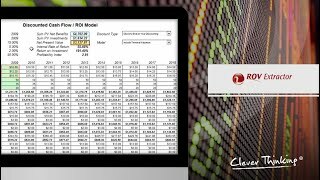 With REAL OPTIONS SLS, decision makers can correctly do project valuations and eliminate the possibility of undervaluing the strategic value of particular projects. 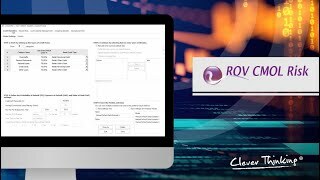 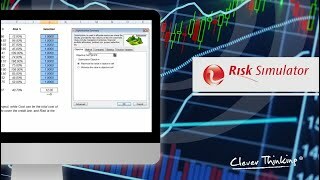 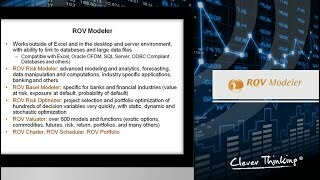 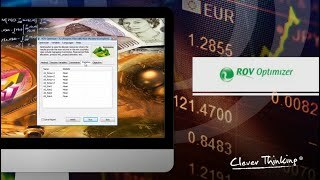 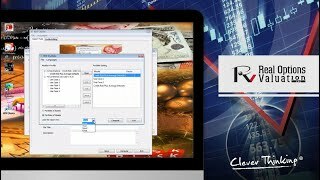 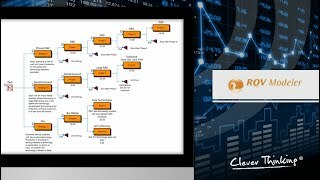 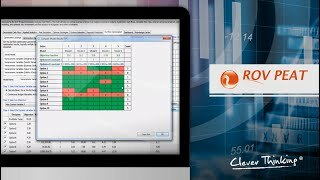 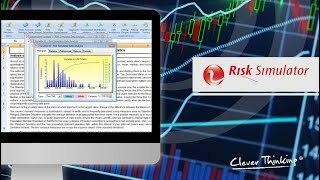 ROV BASEL CREDIT, MARKET, OPERATIONAL, LIQUIDITY (CMOL) RISK SOFTWARE is an IT solution developed to perform a comprehensive analysis for banks based on Basel II and Basel III requirements on credit, market, operational, and liquidity risks. 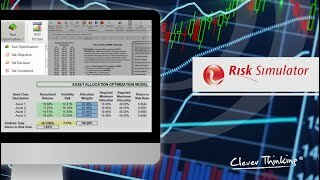 CMOL (ALM Risk) Asset Liability Management modelling approaches to compute Liquidity Gap, Economic Value of Equity (EVE), and Net Income Margin (NIM) based on interest rate risk and liquidity risk, with stress testing and scenario analysis., and incorporates them into a simple-to-use and integrated software application used by small and midsize banks. It simplifies the risk-based Basel II and Basel III requirements providing to managers, shareholder and stakeholder powerful analytics with user-friendly results and compliance reports. 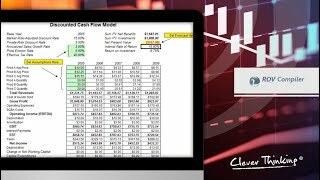 CMOL Advanced Credit Models provides structural, time-series, portfolio, and credit models on estimating PD, EAD, LGD, credit exposures, options-based asset valuation, volatility, debt instrument valuation, Credit Conversion Factors (CCF), Loan Equivalence Factors (LEQ), and a myriad of other models, and incorporates them into a simple-to-use and integrated software application used by small and midsize banks. 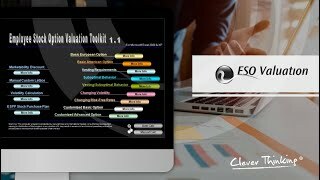 It simplifies the risk-based Basel II and Basel III requirements providing to managers, shareholder and stakeholder powerful analytics with user-friendly results and compliance reports. 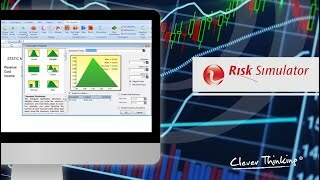 CMOL Operational Risk takes multiples decision methodologies (BIA, TSA, ASA, RSA, AMA) to estimate Operational Capital at Risk, and incorporates them into a simple-to-use and integrated software application used by small and midsize banks. 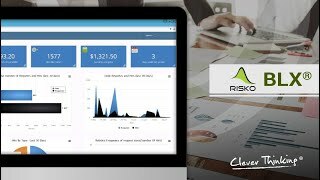 It simplifies the risk-based Basel II and Basel III requirements providing to managers, shareholder and stakeholder powerful analytics with user-friendly results and compliance reports. 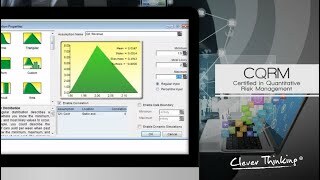 The CQRM certification includes 4-Day intensive Integrated Risk Analysis workshop, complete the requisite in-class work in Risk Identification, Modelling and Simulation, Integrated Risk Management Process, Analytical Tools, Optimization, Forecasting, Real Options Analysis, and obtain the fully-accredited Certified in Quantitative Risk Management (CQRM) designation offered by the International Institute of Professional Education and Research (IIPER). 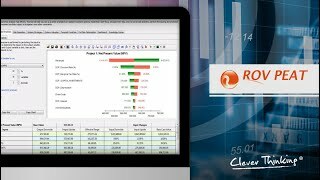 IIPER’s CQRM certification is accredited by the National Certification Commission and IIPER is a member of the prestigious AACSB (Association for the Advancement of Collegiate Schools of Business). AACSB is one of the largest U.S. accreditation agencies recognized by the U.S. Department of Education, and has over 500 business schools around the world as its members. 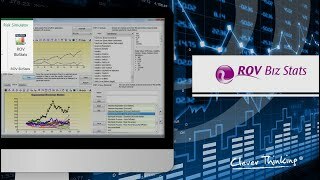 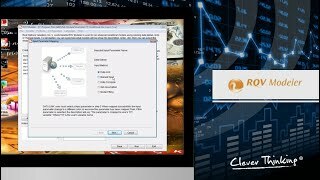 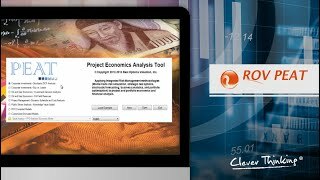 Set up a series of projects or investment options, model their cash flows, simulate their risks, run advanced risk simulations, perform business intelligence analytics, run forecasts, optimise investment portfolios, and generate automated reports and charts, all within a single easy-to-use integrated software suite. PEAT also has the flexibility of creating specific company models to be integrated into project analysis (MSF Excel Functionality). 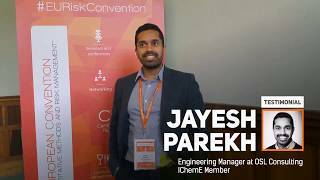 The customised models can serve as inputs to set up projects or investment options, model cash flows, run advanced risk simulations, perform business intelligence analytics, run forecasts, optimise investment portfolios, among other aspects. 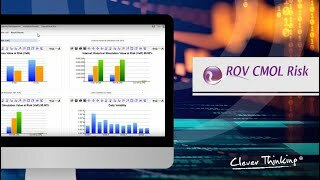 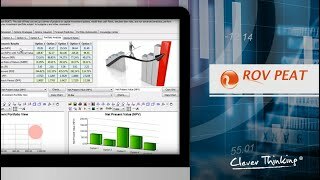 ROV BIZSTATS is an applied statistics and business intelligence toolkit that is focused on user friendliness but is still powerful enough to solve most day-to-day statistical problems and data analysis. 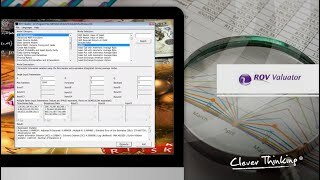 As a standalone software, it will also work with the existing data in your spreadsheets or external sources, providing detailed reports complete with analytical results and in-depth explanations of the results. REAL OPTIONS SLS is a standalone software and spreadsheet accessible add-in for analysing and valuing real options, financial options, exotic options and employee stock options and incorporating them into decision-making models. 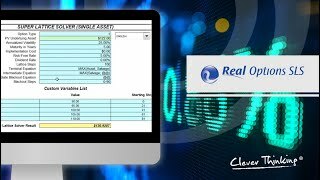 SLS Functions are part of REAL OPTIONS SLS, which is a spreadsheet accessible add-in for analysing and valuing real options, financial options, exotic options and employee stock options and incorporating them into decision-making models. 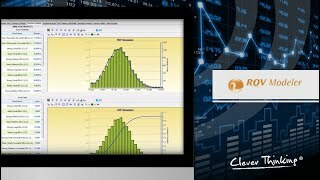 Implementing Distributional Fitting (Akaike, Anderson-Darling, Chi-Square, Kolmogorov-Smirnov, Kuiper’s Statistic, Schwarz/Ba Criterion) and running Monte Carlo simulations on more than 50 Probability Distributions to obtain confidence intervals and percentiles of simulated results. 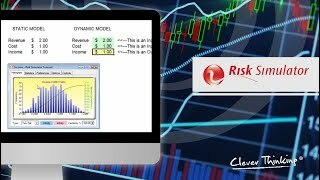 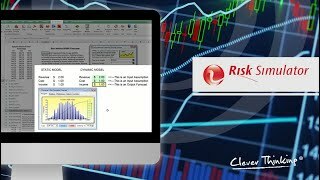 Running tornado analysis and traditional sensitivity analysis using Risk Simulator (Excel Add-In), a general approach to get key variables or risk factor in a model. Forecasting Analysis with Risk Simulator: Time-Series Decomposition, Box-Jenkins ARIMA, Auto ARIMA, Basic Econometrics, Auto Econometrics, Cubic Spline, and more. 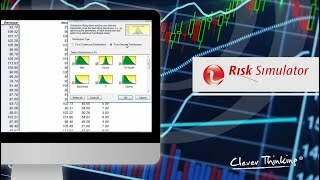 Asset allocation and Stochastic Optimisation with Continuous, Discrete and Integer Decision Variables, Efficient Frontier Analysis, Linear and Nonlinear Optimization with complete control over the advanced algorithm types and precision levels using Risk Simulator. 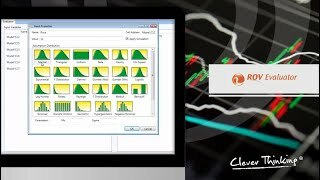 Detailed Data Diagnostics (heteroscedasticity, autocorrelation, Multicollinearity, outliers, and much more), Distributional Fitting, Distributional Exact Probabilities (PDF, CDF, ICDF), Hypothesis Testing, among other advanced statistical analysis techniques.